Home Reviews Smartphones Cherry Mobile Flare vs. Starmobile Astra: Specs Fight! 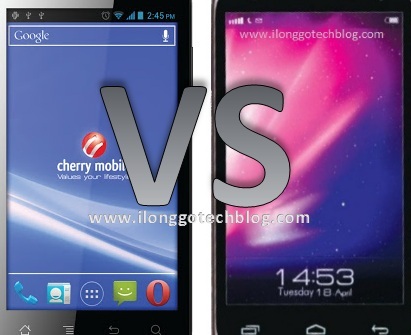 Cherry Mobile Flare vs. Starmobile Astra: Specs Fight! 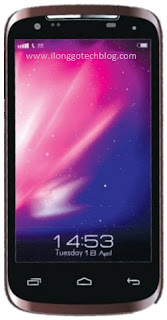 The Starmobile Astra is the biggest and the first Android smartphone from Starmobile that features a mobile TV and a 1GHz dual-core processor, while the Cherry Mobile Flare is the first ever dual-core Android ICS smartphone in the market with an unbelievably low price of Php3,999 only. The CM Flare was launched during Cherry Mobile's Flare Up event at One Esplanade last week. With that a lot of people are asking which is better between the two? So, Aside from their looks, can you really tell the difference between the two? If not, let’s look at their specs side-by-side after the jump. 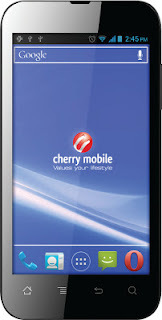 If you can see both the Cherry Mobile Flare and the Starmobile Astra have the same RAM, internal storage, both have GPU's that can play Angry Birds, Bad Piggies, Temple Run and is compatible with Adobe Flash, but the Starmobile Astra edges the Cherry Mobile Flare with its 1GHz dual-core Cortex A9 MT6577 processor, PowerVR SGX531 GPU, 8MP camera (5MP for the CM Flare), 720p HD video recording and its analog TV tuner (the Flare has none), while the Cherry Mobile Flare only edges the Starmobile Astra with its unbelievably low price of Php3,999 only! Note: The MediaTek MT6577 is faster than the Qualcomm MSM8625 S4. The MT6577 is a dual-core Cortex A9 while the MSM8625 S4 is a dual-core Cortex A5. The A5 is more efficient, but peak performance the A9 beats it handily. However, it the speed difference is pretty negligible for general usage. It'll only be apparent in benchmarks and games. Thanks AnaIvanovic2! Now, which phone wins the fight? Which phone wins the fight? If you own one of this phone, please share some of your experiences and opinions about this phone, so that others may be aware of it. Thanks! Madali ma lo-bat astra. At saka kabibili ko lang after 3 days nagloko na. Nag self- scrolling na. After 7 days na pinalitan ng bagong unit ng dealer, gano'n na naman nag self-touchscreen o self- scrolling na. Kaya after this 2nd unit na palit, surrender unit na to the astra mobile- maghihintay ka na ng service warranty. Hintay daw ako after 2-3wks para maayos phone. Kaya kung bibili kayo ng astra, maghanda na kayo sa ganitong problema. pag ginawa pang 4-4.5K ang Astra panalo na tlga sya.. hehehe.. di nmn daw totoong IPS ang display ng Flare..
Wla pa po white yung Astra, coffee color lng yung available..
thanks. magkano na to sa mismong starmobile? fan po ako ng starmobile at last year naka bili ako ng Starmobile T601i at nong december 19, 2012 naka bili ako ng starmobile astra ok na sana kaya lng after mga 2 weeks kong gamit ng astra nagloloko ung touchscreen nya gumagalaw na xa mag isa i mean nag tatouch na xa mag isa..nag try ako restore or format ng cp ala parin nangyari nag inquire ako sa kanila sabi daw papic.up daw ung phone pa ayos daw e wala nmn..
sana me ilabas ung astra ng khit 2000 mAh na battery.. pra man lng tumagal kc bilis ma low bat.. pro n general.. astra is the best for me.. with Go Launcher EX na launcher.. kaya astig..
1,000 nalang kulang sa Astra makakabili kana ng dalawang Flare... hehehehe next time try to compare two phones with almost the same price and then let's us see.. Exactly.. the battery of my astra gets easily depleted despite of regular usage. Tv is great. Camera is amazing though it is like china camera phones when you capture a pic in dim light. Overall it is a good phone to invest with. flare or astra? ewan ko ah!!! are you sure it's php 3,999? Sabog na sabog ang cm flare. xD Astra labas na kasi!! !